the company’s use of resources and to improvethe company’s meeting culture. upgrade the software and update the settings remotely from your computer. - Simplicity – just at easy and efficient as Evoko Room Manager has always been. - Supports MS Exchange server 2007, 2010, 2013 and Office 365. - Book meetings in Microsoft Outlook, Google Calendar or directly on touch screen. - Display the meeting organizer and/or the subject for the meeting (simultaneously). - Quickly find a free room just by looking for a room that shows a green light. - Book an instant meeting directly on the touch screen. 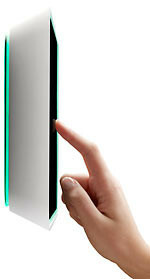 - Extend an ongoing meeting directly on the touch screen. - End an ongoing meeting directly on the touch screen. - Find a free room directly on the touch screen. 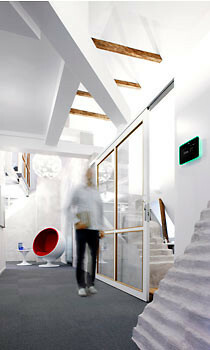 will return to green light and the room will once again be available for booking (function optional at installation). - Report a problem connected to technical equipment in the meeting room. - Easy to mount on both walls and glass. - The Evoko Control Panel will guide you through the settings that needs to be made. A great option to consider for room scheduling is the solution from Evoko. This solution is extremely popular for its large sleek touch panel, simple user interface and low cost to implementation. Understanding that with more complicated technology solutions, users typically only use 50% of the capabilities, we highly recommend the Evoko solution for its overall ease of use. Use Outlook As You Have Always Done, Evoko Room Manager Does The Rest. Invite people and book the meeting room in Outlook, as usual. Or book the meeting directly on the Evoko Room Manager just by a simple touch on the screen. Bookings made in Evoko Room Manager and Outlook are automatically synchronized. Crystal clear. Green or red LED background illumination shows at a distance whether the meeting room is free or occupied. Simple But Smart Touch Menus. Many rooms are booked but not used. To avoid this situation, we recommend enabling the Confirm start of Meeting feature and use the meeting rooms more effectively. Touch “Confirm” when the meeting starts. If the meeting is not confirmed, the Evoko Room Manager screen returns to green light and the room becomes available for booking in Outlook and direct on the screen. The Evoko Room Manager system is easy to install. It’s virtually the the same procedure as adding a new employee onto the Exchange Server. No new or extra server or software is needed which means minimal impact on IT staff. It is all based on Outlook. Evoko Room Manager require only a single cable – the network cable for communication and power supply. Evoko's Room Manager is an intelligent room booking system. It consists of a display that is mounted on the outside of a meeting room, so it provides information on booked meetings in the mentioned room. Appointments booked via Outlook are automatically sent to the system and displayed. In addition, new entries can be easily added directly in the touch screen. that have been made in Outlook or Google Calendar and those made directly using the Evoko Room Manager. If you have a large number of meeting rooms, you face two challenges: How to use them efficiently and how actually to benefit from all meetings. The Evoko Room Manager has already been a pioneer in the field with its stylish touch-screens that clarify the booking status right outside each meeting room. 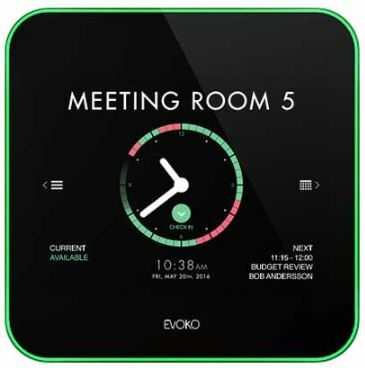 Our new software version, Evoko Room Manager EVO, goes the whole way. Thanks to a statistical function, you can see and analyse your gathered booking statistics and optimise the use of company resources – both on a personnel level and in terms of facilities. You gain access to a new kind of decision-making support – Meeting Intelligence – which allows you to improve your entire meeting culture. Using Evoko Room Manager EVO, the system administrator can even monitor the status of all touch-screens directly from his computer. Similarly, the software is upgradable and the various functions are activated remotely, which saves lots of time. Evoko Room Manager EVO features everything that made the first version so popular – from the quick installation to the intuitive touch-interface. Below, you will find out more about how it works and about the advantageous functions featured in both Evoko Room Manager EVO and Evoko Room Manager. Problems finding unoccupied meeting rooms and hassle about bookings are often the consequence of unclear procedures or difficult technology. The Evoko Room Manager is a solution that makes the booking status of a meeting room clear for everyone, right at the door of the room. 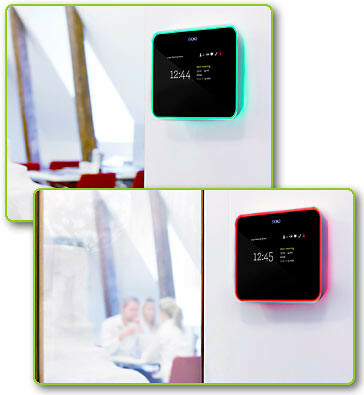 The Evoko Room Manager consists of touch-sensitive screens outside the meeting rooms. It is possible to see at a distance whether the meeting room is free or occupied, from the green or red background illumination (LED) of the screen. The screen displays who has booked the meeting, and how long it will be. It can even detect that a booked room is not being used – and automatically flag the room as free to be booked. The system communicates directly with Microsoft Exchange, Office 365 or Google Apps for Business, and thus installation and use are simple and secure. The installation is as simple as adding a new user to the company network. No extra server and no new software for the users means there will be no infringement of IT security. You book meetings the same way you always have, using for example Outlook, Google Calendar, or a web app. Since no new software is required and thanks to the intuitive touch screens, no training is required to get started. Bookings for today can be made directly on the touch-sensitive screen, using one of the clear and logical symbols, and selecting the time interval required. Bookings made in Evoko Room Manager, via a computer or smartphone/tablet are automatically synchronised. Simply book the next free slot by touching “Book instant meeting”. Or touch “Extend meeting” to extend a meeting in progress. Select “Find free room” if the next slot has been booked, and the touch-sensitive screen will suggest alternative rooms. There will never again be a booked room standing empty and costing the company money, simply because someone forgot to cancel a booking. Touch “Confirm” (this function can be activated during installation) when the meeting starts. If the meeting is not confirmed, the screen returns to green and the room becomes available for booking. Further – a reporting function is available directly on the screen with which you can report a faulty projector, for example. Nothing is left to chance – maximum use of rooms and hassle-free booking benefit not only the company and its employees, but also the IT department. or directly on the screen outside of the meeting room. Direct access to http/https-with MS Exchange Server 2003, 2007, 2010 or Office 365*. Correct configuration of the time/ or time zone on the MS Exchange Server.